Muğla Province (Turkish: Muğla ili, [ˌmuːɫa iˈli]) is a province of Turkey, at the country's south-western corner, on the Aegean Sea. 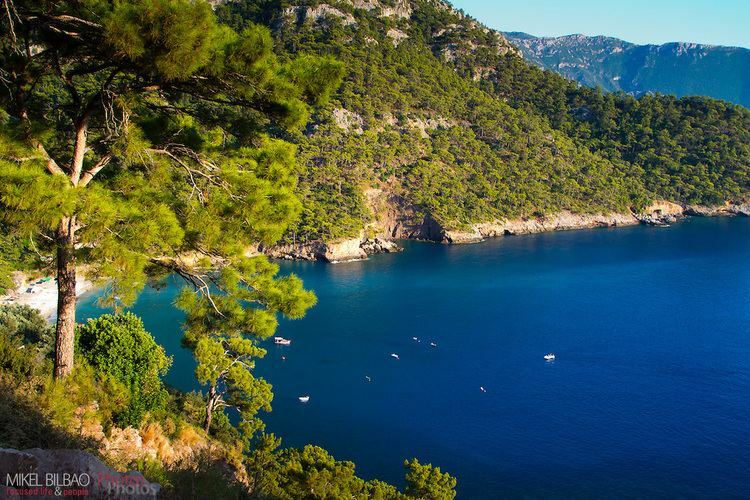 Its seat is Muğla, about 20 km (12 mi) inland, while some of Turkey's largest holiday resorts, such as Bodrum, Ölüdeniz, Marmaris and Fethiye, are on the coast in Muğla. The original name of Muğla is open for discussion. Various sources refer to the city as Mogola, Mobella or Mobolia. At 1,100 km (680 mi), Muğla's coastline is the longest among the Provinces of Turkey and longer than many countries' coastlines, (even without taking any small islands into account). Important is the Datça Peninsula. As well as the sea, Muğla has two large lakes, Lake Bafa in the district of Milas and Lake Köyceğiz. The landscape consists of pot-shaped small plains surrounded by mountains, formed by depressions in the Neogene. These include the plain of the city of Muğla itself, Yeşilyurt, Ula, Gülağzı, Yerkesik, Akkaya, Çamköy and Yenice). Until the recent building of highways, transport from these plains to either the coast or inland was quite arduous, and thus each locality remained an isolated culture of its own. Contact with the outside world was through one of the three difficult passes: northwest to Milas, north to the Menderes plain through Gökbel, or northeast to Tavas. 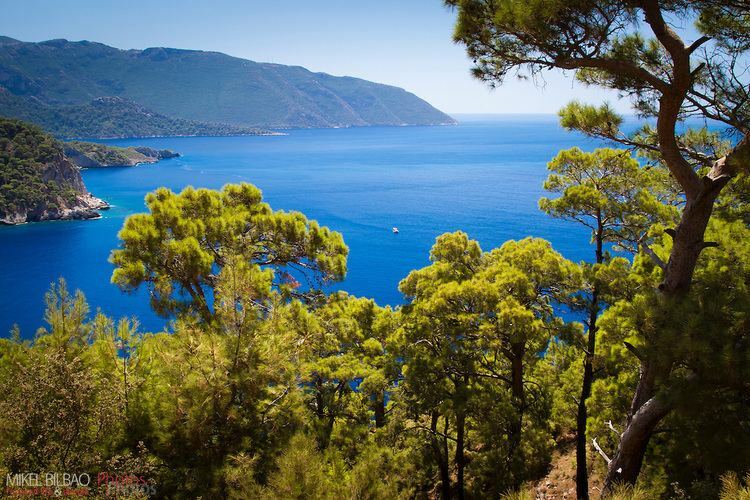 The economy of Muğla relies mainly on tourism (on the coast), and agriculture, forestry and marble quarries inland. Agriculture in Muğla is rich and varied; the province is one of Turkey's largest producers of honey, pine-forest honey in particular and citrus fruits are grown in Ortaca, Fethiye, Dalaman and Dalyan. The province is the second center of marble industry in Turkey after Afyonkarahisar in terms of quantity, variety and quality. Other mineral exploitation includes coal-mining in Yatağan and chrome in Fethiye. Other industry in the province includes the SEKA paper mill in Dalaman and the power stations at Yatağan, Yeniköy and Kemerköy. 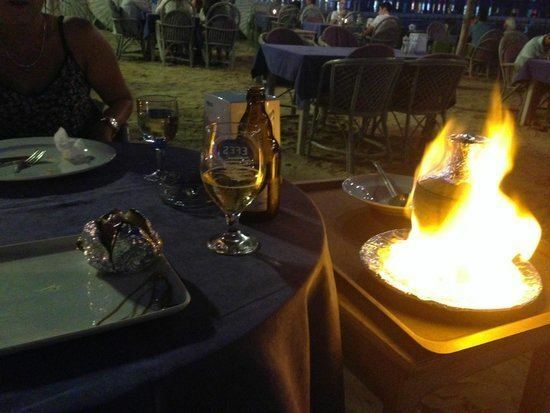 However Muğla is by no means an industrialised province. There are two airports in Dalaman and Milas-Bodrum, serving domestic and international flights and catering to the tourism industry. There are yacht marinas in Bodrum, Marmaris, Fethiye and Güllük. There are many privately run bus connections to İzmir, Antalya, Ankara, Istanbul and other major cities in Turkey from Muğla and directly from the coastal resorts. In ancient times in Anatolia, the region between the Menderes (Meander) and Dalaman (Indus) rivers in the south was called Caria. The inhabitants were Carians and Leleges. In his Iliad, Homer describes the Carians as natives of Anatolia, defending their country against Greeks in joint campaigns in collaboration with the Trojans. 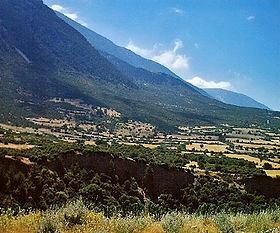 A major city of ancient Caria, Muğla is known to have been occupied by raiding parties of Egyptians, Assyrians and Scythians, until eventually the area was settled by Ancient Greek colonists. The Greeks inhabited this coast for a long time building prominent cities, such as Knidos (at the end of the Datça Peninsula) and Bodrum (Halicarnassos), as well as many smaller towns along the coast, on the Bodrum Peninsula and inland, including in the district of Fethiye the cities of Telmessos, Xanthos, Patara and Tlos. Eventually the coast was conquered by Persians who were in turn removed by Alexander the Great, bringing an end to the satrapy of Caria. In 1261, Menteshe Bey, founder of the Beylik (principality) that carried his name, with its capital in Milas and nearby Beçin, established his rule over the region of Muğla as well. The beys of Menteshe held the city until 1390 and this, the first Turkish state in the region, achieved a high level of cultural development, its buildings remaining to this day. The province also became a significant naval power, trading with the Aegean Islands, Crete and as far as Venice and Egypt. Turkish settlement during the Menteshe period usually took place through migrations along the Kütahya-Tavas axis. In 1390, Muğla was taken over by the Ottoman Empire. However, just twelve years later, Tamerlane and his forces defeated the Ottomans in the Battle of Ankara, and returned control of the region to its former rulers, the Menteshe Beys, as he did for other Anatolian beyliks. Muğla was brought back under Ottoman control by Sultan Mehmed II the Conqueror, in 1451. One of the most important events in the area during the Ottoman period was the well-recorded campaign of Süleyman the Magnificent against Rhodes, which was launched from Marmaris. With this long history Muğla is rich in ancient ruins, with over 100 excavated sites including the UNESCO World Heritage Site of Letoon, near Fethiye. Turkish orthodox church leader in Bodrum Zihni Özdamar, he worked to get the support of the church authorities for the Turkish War of Independence. Avram Galanti, prominent Young Turk and supporter of Atatürk in the Jewish community of Bodrum. Şükrü Kaya, Minister of the Interior under Atatürk, born in İstanköy. Founder of Cumhuriyet newspaper and key supporter of AtatürkYunus Nadi Abalıoğlu, and his son Nadir Nadi Abalıoğlu, from Fethiye. Amateur astronomer and president of the American Association of Variable Star Observers (AAVSO) Janet Akyüz Mattei of Bodrum. Former President Kenan Evren lived in Marmaris after he retired until his death. The Republican People's Party (CHP), Turkey's principal center-left party has a traditionally strong presence across the political landscape of Muğla Province, closely followed by the traditional center-right represented by the Democrat Party (DP) in Turkey's politics, although the incumbent Justice and Development Party (AKP) obtained the first place in the ballots cast during the last national-scale elections that were the 2004 local elections, with 31,25% of the votes. The overall percentage for the province was 26,3% for the CHP, and 20,98% for the DP during the same elections. The rightist Nationalist Movement Party (MHP), campaigning on Turkish nationalism had obtained a further 9,5% (especially in the Fethiye district). The other parties registered less significant percentages.